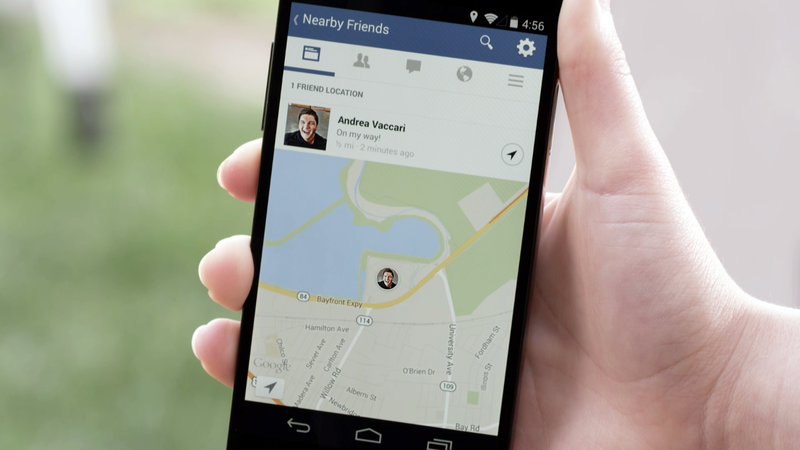 In a move that is sure to ruin Hide and Seek games across the world, Facebook today has announced a new feature coming soon called Nearby Friends. This opt-in feature will allow you to share your location only with your selected friends, meaning that if you ever happen into the same restaurant or mall, your phones will automatically let you know. Once activated by yourself and your friend on their device, the Facebook app will send you both a notification whenever you two are in the same area. If you or your friend are a little lost, you can choose to turn on your exact location with someone for a certain amount of time. Turning on Nearby Friends will also share your location on your profile, so if you are traveling, your friends can see where you are and suggest things to do while you are out. Before you start running through your list of Facebook friends and figuring out who to delete, Facebook made it very clear in its blog post today that this will be an opt-in feature. Once it is rolled out to iOS and Android devices over the “coming weeks,” you will have to turn it on in the settings to get it to work. Now all of your Facebook friends can be Big Brother.